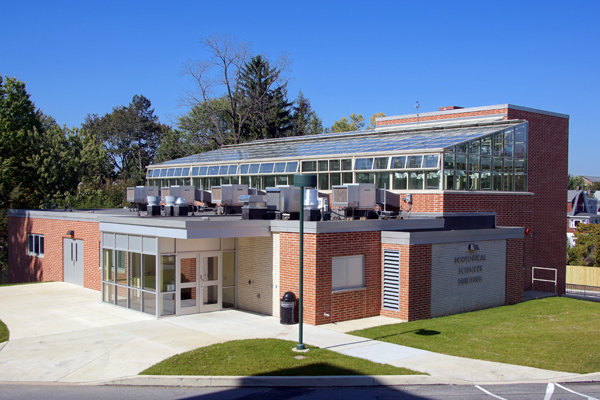 Provided MEP and fire protection engineering for renovations to the Life Sciences Building and conversion of a maintenance building to house an Ecological Sciences Building located on a college campus. The buildings feature spaces for education, biological sciences, and behavioral sciences, with new laboratories and greenhouses. Work entailed design of new mechanical, electrical, and plumbing systems as well as a new central plant to serve five local campus buildings. Two classrooms in an adjacent building were also renovated and converted into wet and dry organic chemistry labs.